Justin Forte, Walton, RB 5’9″ 165 lbs. Justin, despite his diminutive stature was a monster running back. He would set the Cobb County single season rushing record at 2,395 yards his senior year – a record that would stand for 11 years. 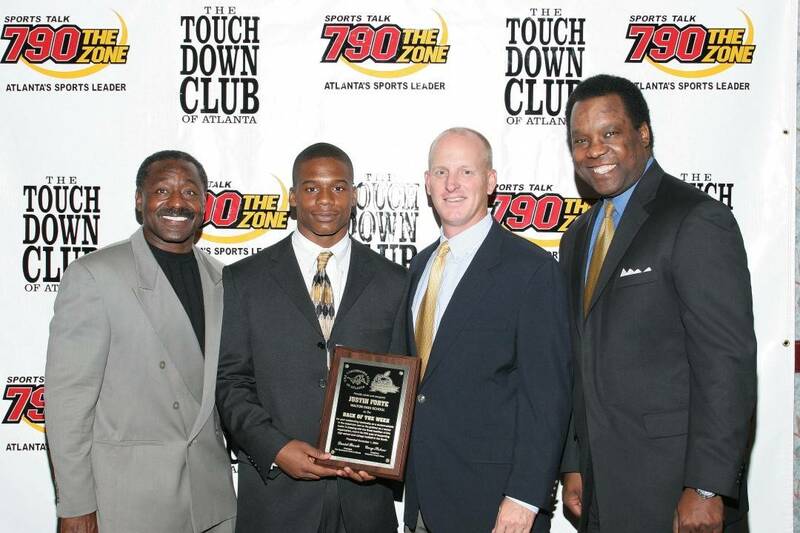 He was named by the AJC as the Offensive Player of the Year & Cobb County’s Offensive Player of the Year. He would go on to play for the Richmond Spiders where as a senior he would become a 1,000 yard rusher.